Close to 40 million people live in the Caribbean region, but they are divided between scores of countries and territories. Caricom is the most successful effort at regional integration in the Caribbean, though it isn’t the first. The bloc compliments the larger regional organizations, the Oragnization of American States (OAS) and the Community of Latin American and Caribbean States (CELAC). 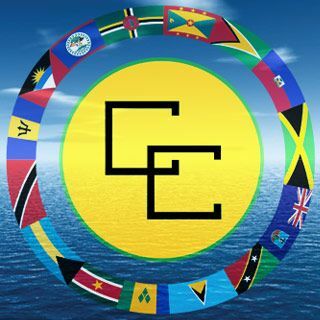 Caricom also includes members of the Bolivarian Alliance for the Peoples of Our America (ALBA), including Antigua and Barbuda, Dominica, Saint Lucia, St. Vincent and the Grenadines, as well as Venezuela – which has Caricom observer status. Through its links with initiatives like ALBA and CELAC, Caricom is increasingly gravitating closer to Latin America, as part of a broader trend toward South-South cooperation in the region. Caricom’s forerunner, the West Indies Federation, was less successful, but widely recognized at the first major attempt to unify Caribbean nations in the last century. The federation lasted just four years, from 1958 to 1962, and only included British colonies. However, the two weaknesses of it that led to its collapse aren’t present in Caricom. The first was the underpinning logic of the federation: to eventually create a single independent nation state from the disparate English-speaking Caribbean. The 1996 Agreement on Social Security mandated all CARICOM states should provide equal treatment to citizens of other member states. Initially, the British were confident they could cobble together their Caribbean island colonies into one entity, much like they did with their colonies in places like Canada and Australia. Yet a diversity of regional identities, limited public interest, and bad blood between some Caribbean leaders meant this plan was doomed from the start. In other words, integration without sovereignty was never going to work. The second major flaw in the West Indies Federation was the British themselves. The federation was something imposed on the Caribbean by London, instead of being an organic development from the Caribbean itself. Caricom differs in that it has taken shape slowly, as Caribbean nations learn through praxis how to integrate on their own terms. The modern bloc grew out of the Caribbean Free Trade Association – a smaller bloc that arose from the ashes of the federation. Since Caricom was created in 1972, it has boasted its fair share of successes. The bloc now consists of 15 full members, five associate members and eight observer states. Figures from Caricom’s secretariat suggest trade within the block doubled between 1973 and the start of the new century. Since then, most of the bloc has signed into the Caricom Single Market and Economy, which promises to further promote economic integration. Another major milestone was the 1996 Agreement on Social Security, which mandated all Caricom states with providing equal treatment to citizens of other member states. Most member states now also issue Caricom passports, and travel within the bloc has also been eased. Efforts have also been made to deepen security cooperation and get a regional stock exchange off the ground. Today, one of the most important aims of the bloc is deepening ties with Cuba. In March, Caricom’s Secretary-General Irwin La Rocque explained that deepening ties with Cuba is crucial for the bloc’s expansion, due to Havana’s leading role in regional development. “This invaluable and highly appreciated assistance has also been extended in the fields of education, sports, agriculture, and culture,” he stated. The secretary-general also argued that ending the U.S. embargo on Cuba is a priority for the bloc. “We have, as a bloc, joined with like-minded states to both advance and protect our interests and support causes and initiatives of priority concern to us. This is why we have consistently supported United Nations resolutions aimed at ending the U.S. embargo on Cuba and will continue to do so,” he stated.